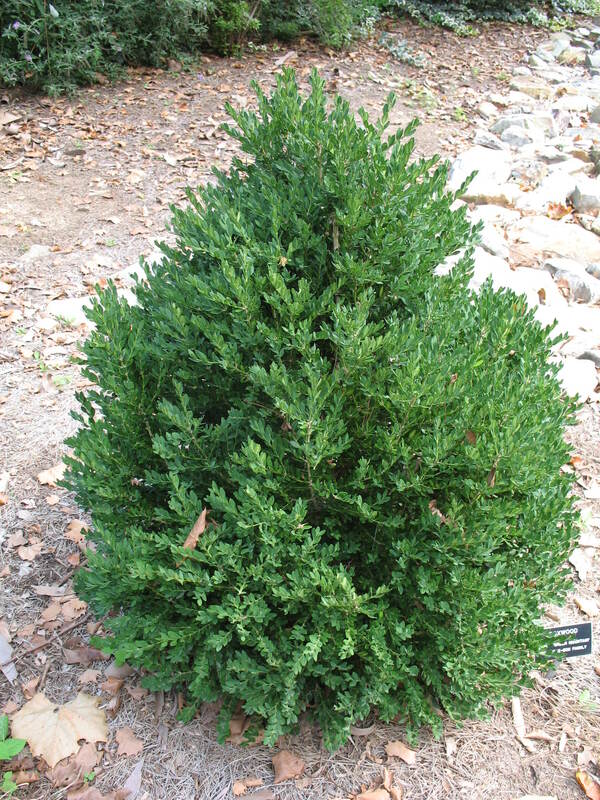 Comments: This boxwood produces a pyramidal form and is an excellent accent shrub when planted alone. It takes pruning quite well. Boxwood need a well drained, fertile soil for best performance. Severe freezes will injure the foliage. Do not prune late in the year because young growth is susceptible to early winter freezes.